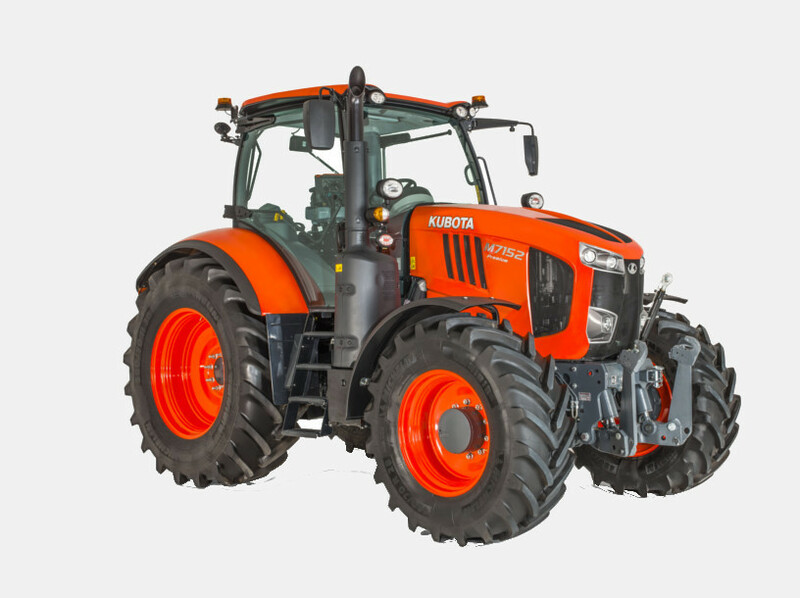 The Kubota M7002 sets new standards for professional agricultural tractors. Thanks to first-class technology, comfort as well as intelligent precision farming solutions, high levels of performance are guaranteed. The modern V6108 engine offers even more efficient performance with lower fuel consumption. With the new 6 speed powershift transmission or the continuously variable transmission on the Premium KVT version – efficiency and driving comfort are guaranteed. The spacious cab sets the highest standards in terms of comfort and ergonomics. The rear hydraulics system provides an enormous lifting capacity of 9,400 kg. Precision farming solutions ensure the economical use of resources. 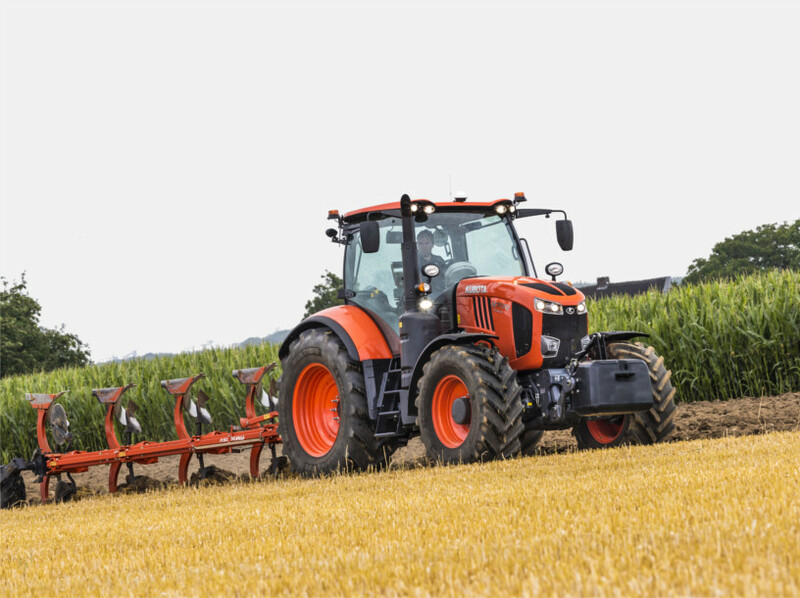 The modern V6108 series engine offers even more efficient power thanks to an optimised power curve, while at the same time consuming less fuel. With a 20/20/5 hp Power Boost, the M7002 has additional power reserves for maximum performance. State-of-the-art engine technology ensures that the M7002 meets the Stage IV emissions standards with ease. The V6108 engine is not only more efficient, it's also quieter, which makes for a more comfortable drive. 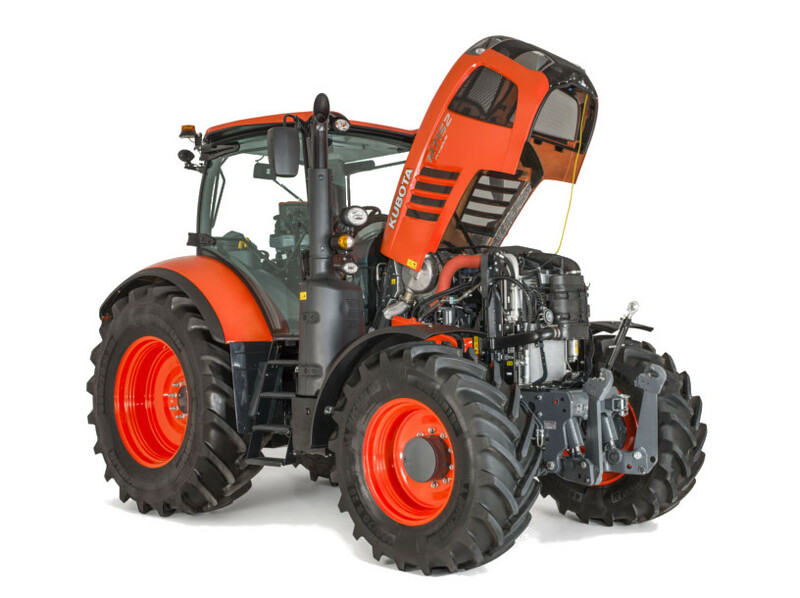 The M7002 is a particularly service-friendly agricultural tractor, even with a front loader attached. The transmissions of the M7002 provide maximum efficiency in all operating conditions. The 30F/15R 6 speed powershift transmission in the standard and Premium versions provide an application-specific gear graduation. The 54F/27R transmission with creeper gear in the standard and Premium versions enables speeds from 0.25 to 50 km/h. In automatic mode, the transmission shifts gears depending on the engine load. The continuously variable KVT transmission of the Premium model ensures perfect driving speeds with the lowest fuel consumption. 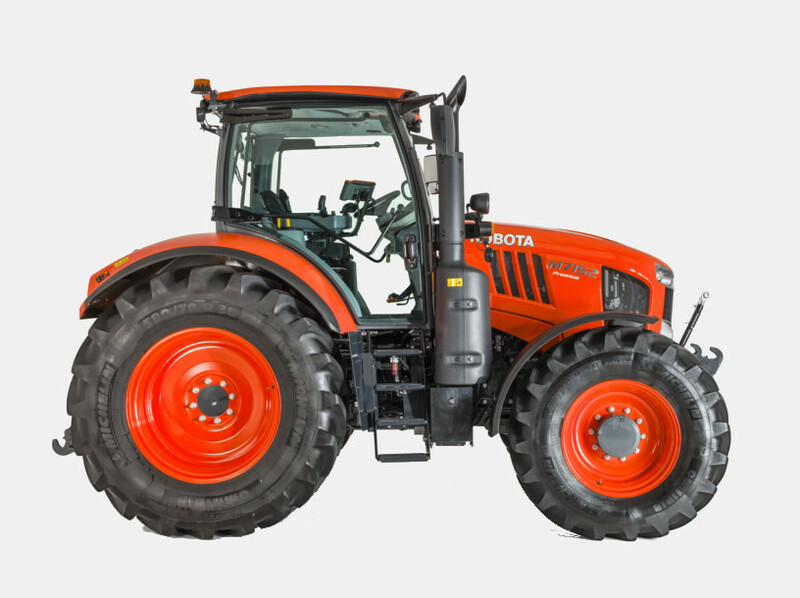 The Kubota M7002 offers a massive lifting capacity of 9,400 kg at the rear – the highest in its class. 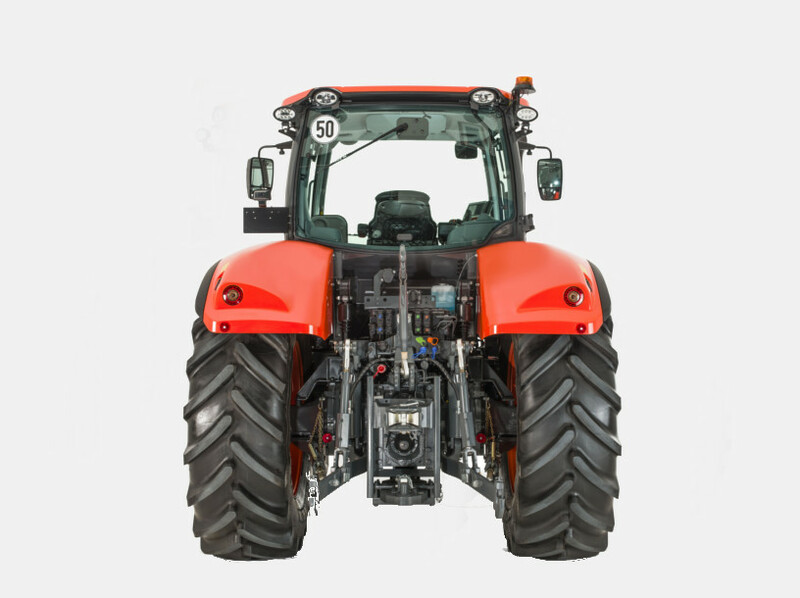 The hydraulics and lifting gear are optimally matched to the unique performance capacity of this high-performance tractor. The Premium and KVT models feature a CCLS hydraulic pump with an exceptional output of 110 l/min. The CCLS system is also available as an option on the standard models. With four PTO shaft speeds (540/540E/1000/1000E), you can operate a wide range of implements with optimum economy. 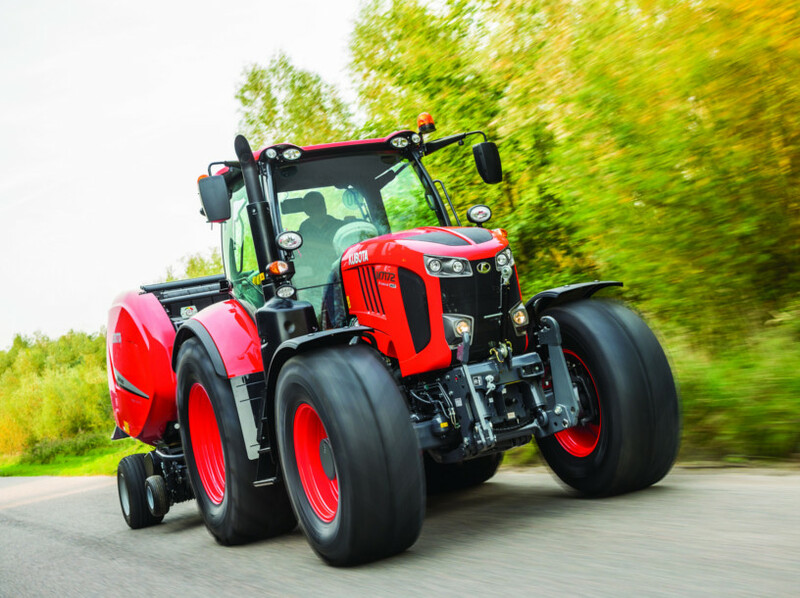 With the optional front linkage and 1000rpm front PTO, you can tailor the M7002 to suit a variety of applications. The extremely spacious, quiet cab on the M7002 offers you an ideal command centre. Thanks to great comfort and exemplary ergonomics, you can work in a concentrated and relaxed way, through even the longest days. Improved insulation (category II) make the cabin even quieter. The new premium seat ensures a relaxing, comfortable drive. 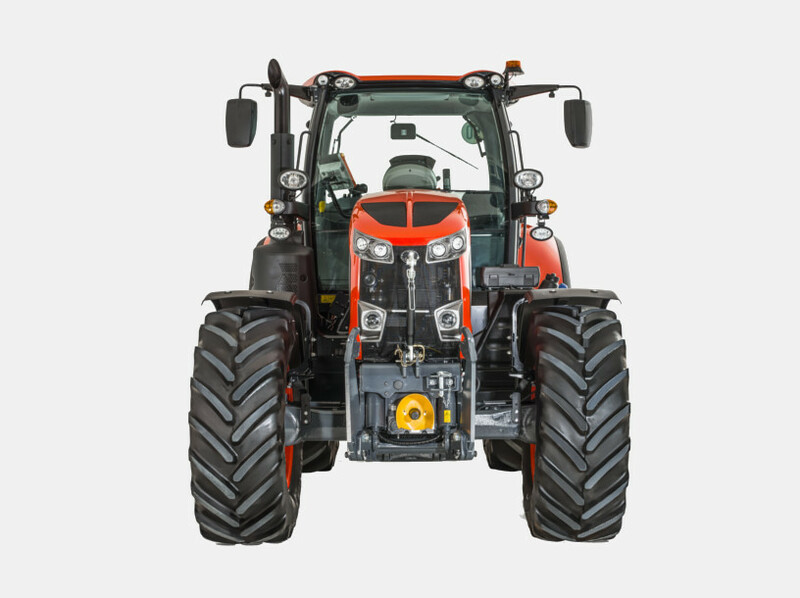 The cab suspension and the sprung front axle ensure both you and the tractor have a gentle ride. 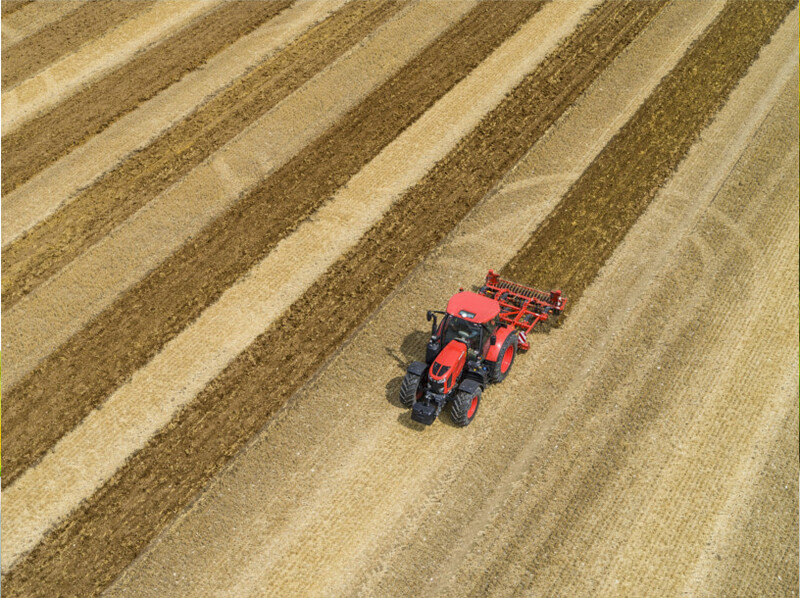 Modern precision farming solutions ensure the efficient use of resources. The advanced M7002 (Premium model) is 100% ISOBUS compatible. 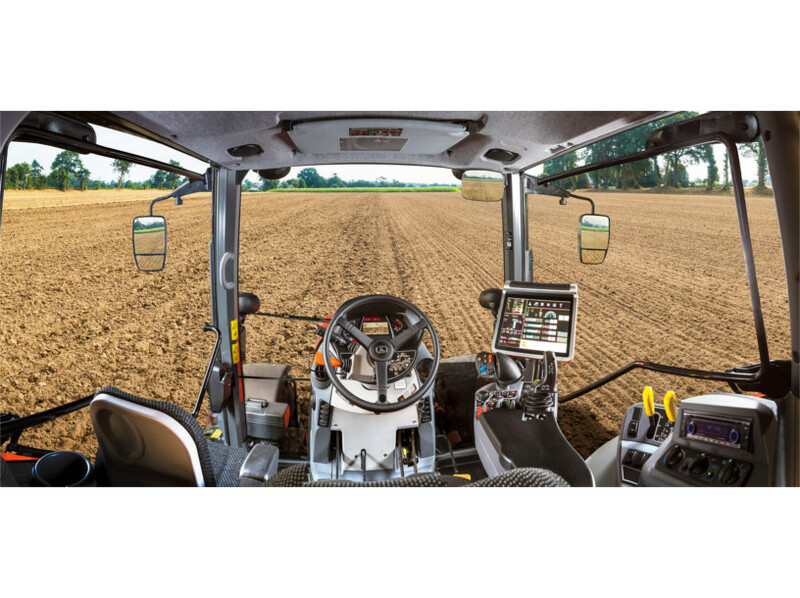 As an all-in-one terminal, the tractor's K monitor combines a wide range of functions with intuitive operation. Headland management automates the entire headland operating sequence. 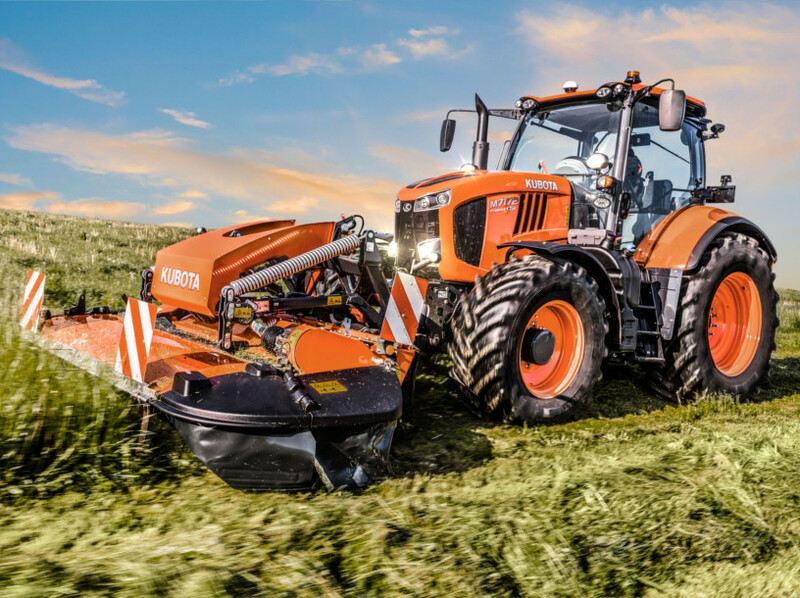 The M7002 and Kubota front loaders are ideally matched and complement each other perfectly. The tailor-made combination provides smooth operation, first-class ease of use and maximum efficiency. The front loader joystick ensures smooth and effortless work. 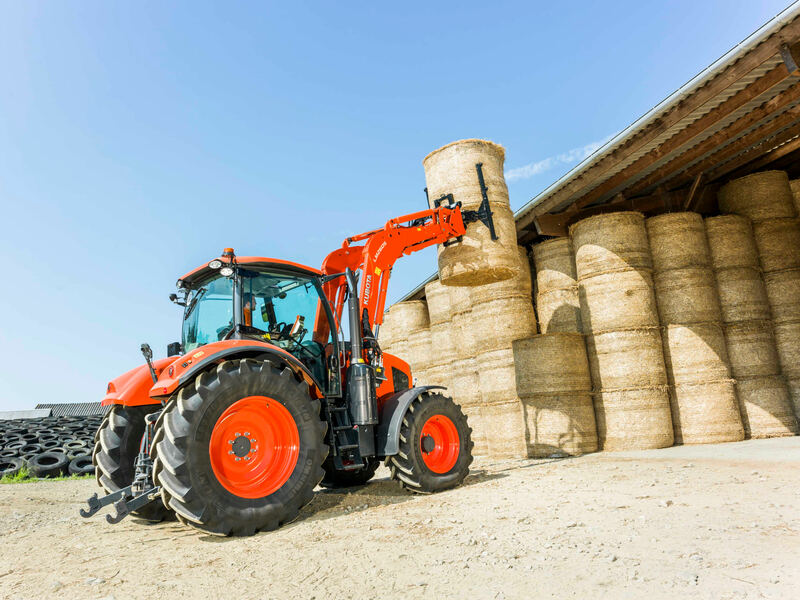 The Kubota KSR vibration damping helps to minimize the vibration load. The front loader can be attached and detached in no time at all, without tools, using multi-couplers. 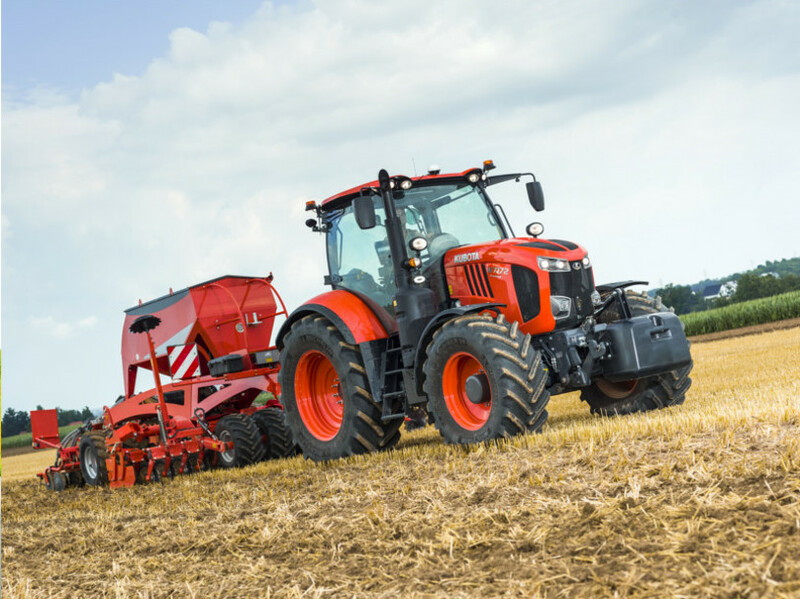 The M7002's unparalleled lifting power, superior comfort, excellent ease of use and comprehensive precision farming solutions guarantee top performance. The M7002's all-in-one terminal and multifunction armrest enable intuitive control and easy monitoring of all implements. The K-Monitor provides you with all the important operating data quickly and clearly. 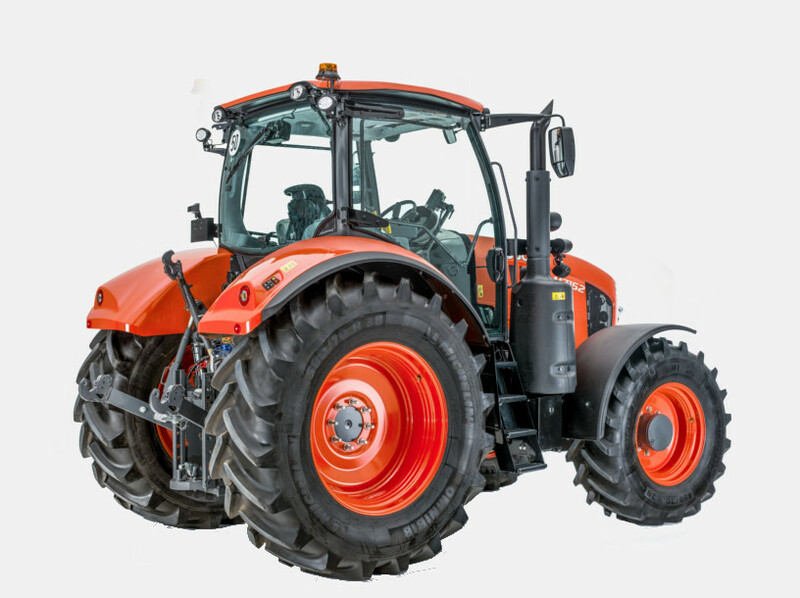 The modern M7002 tractors are ISOBUS-certified and thus support the targeted use of resources. 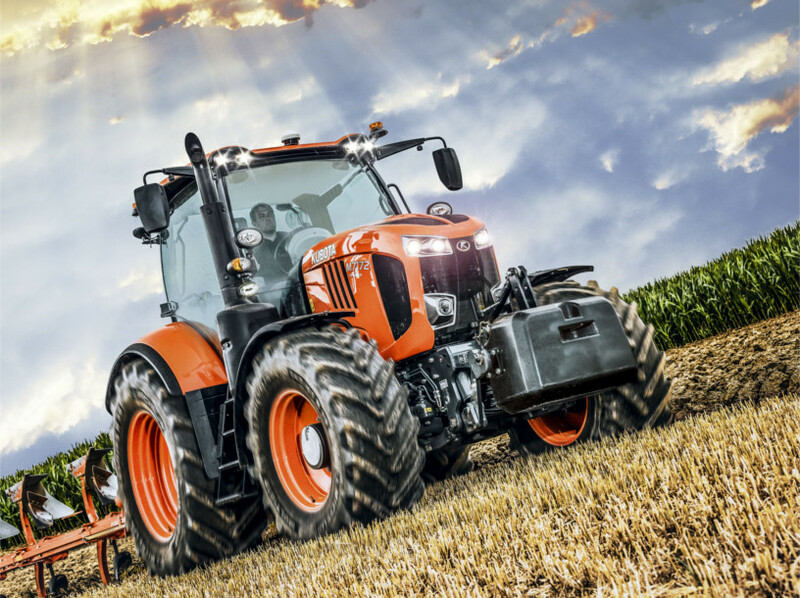 With the possibilities of its automatic steering systems, the tractor becomes a true precision solution for effective and economical farming. 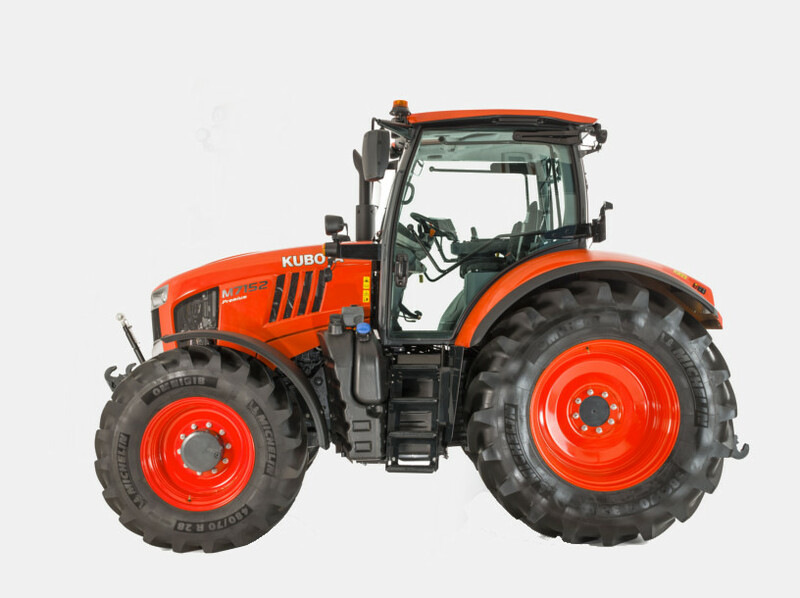 Kubota tractors offer proven quality and excellent performance. 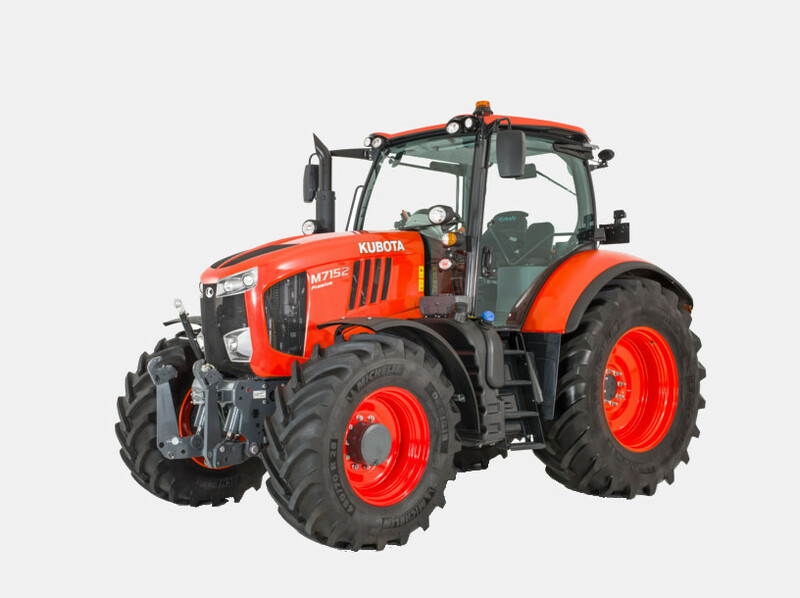 Kubota also offers you manufacturers warranty for the M7002, which you can optionally extend up to five years with the Kubota Care programme. 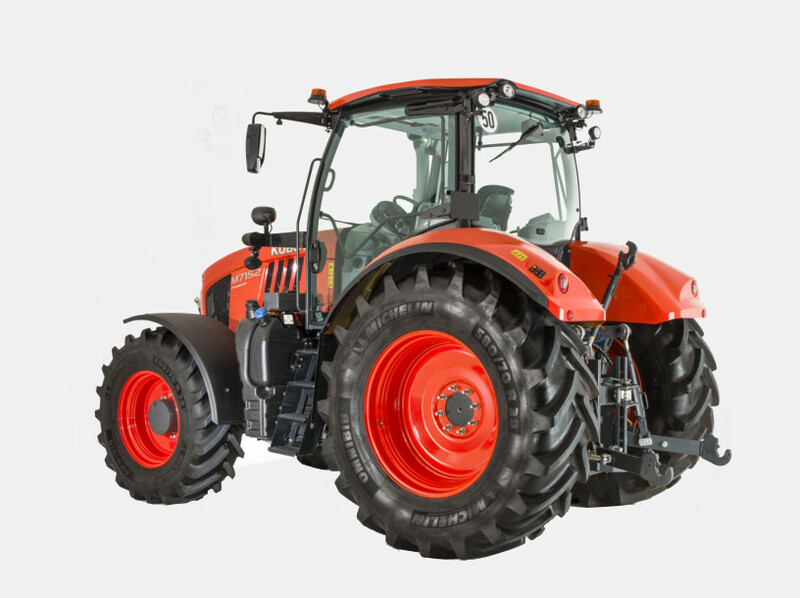 The M7002 stands for state-of-the-art high-performance tractor technology. 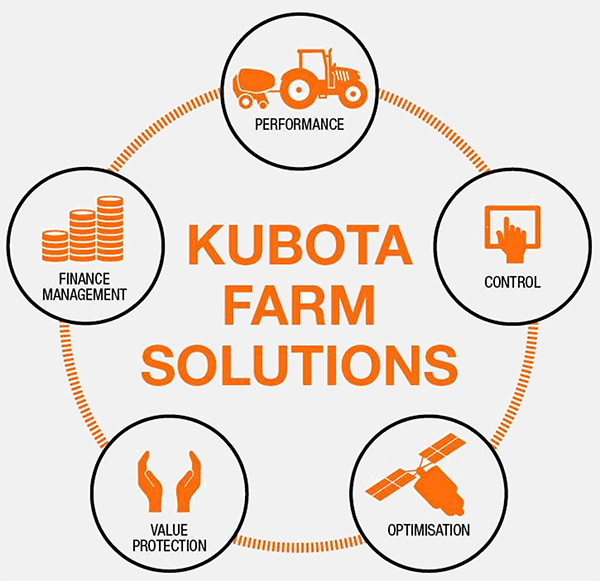 With Kubota Finance offering bespoke/flexible finance options you can invest in technology that will make an important contribution to your business success.